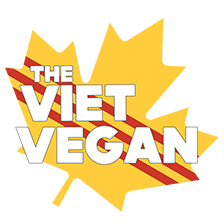 A Vietnamese staple for banh mi, spring rolls, and more! There’s something that’s so satisfying about sharing food with friends and family. I just love watching other people enjoy the food I prepare. I have no idea what it is. It’s just ultimately gratifying to see people close their eyes while they savour a forkful of chocolate cake I’ve made, or scrape at the bowl to get every last drop of a stew I’ve made from scratch. 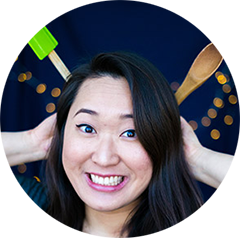 Just the sight of people enjoying my food is so exciting, I always have a big dumb smile plastered on my face when they ask if they can have a second helping. 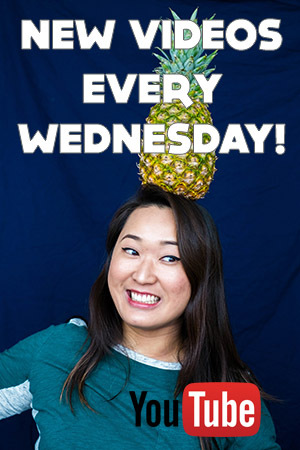 I basically have become an extra member of my best friend’s family, and I find myself always looking for recipes and treats to bring over to share with them. Test batches of cake, cookies, or confections—and every now and then, something made especially for them. My best friend’s mom has been asking me for this recipe forever, and I had it on my site in an old recipe, but the photo is hideous. 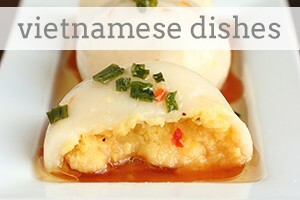 I needed to beef up the Vietnamese Dishes section of my recipe index, so I thought, why not reshoot and remake a classic? 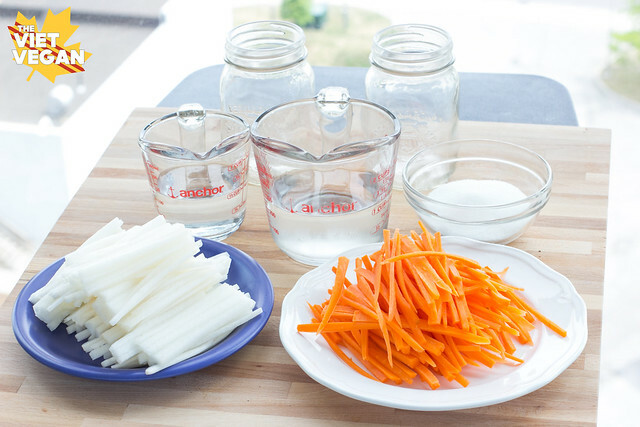 Pickled carrots and daikon are a signature addition to Vietnamese dishes. Their bright brine adds a splash of colour to the deep spices and flavours of Vietnamese proteins, while the crunch adds depth and texture to the otherwise soft or dry aspects of something like a banh mi sandwich. Shooting and making this recipe brought back such a calming and stress-relieving joy that I haven’t felt in a while. 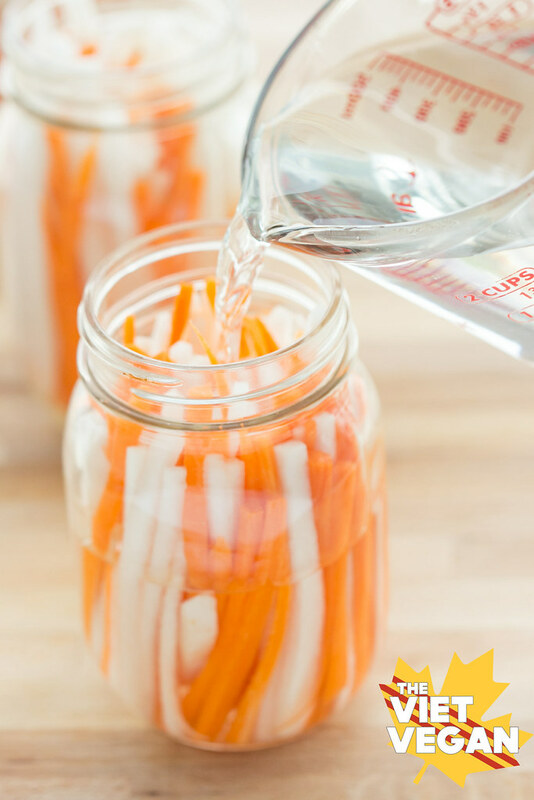 Julienning the carrots and daikon, learning how to adjust to the new lighting in my apartment and playing around with the naturally beautiful ingredients, and being able to enjoy something from my childhood. 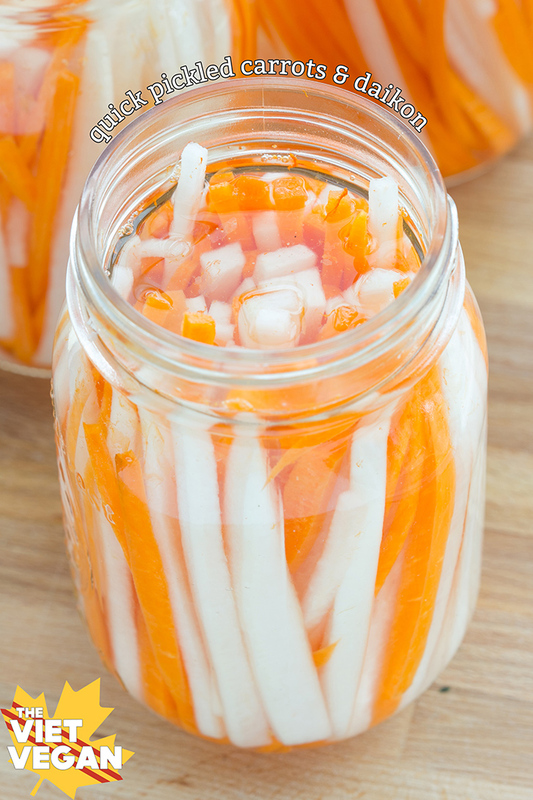 Vietnamese Quick Pickled Carrots and Daikon are super easy to make. 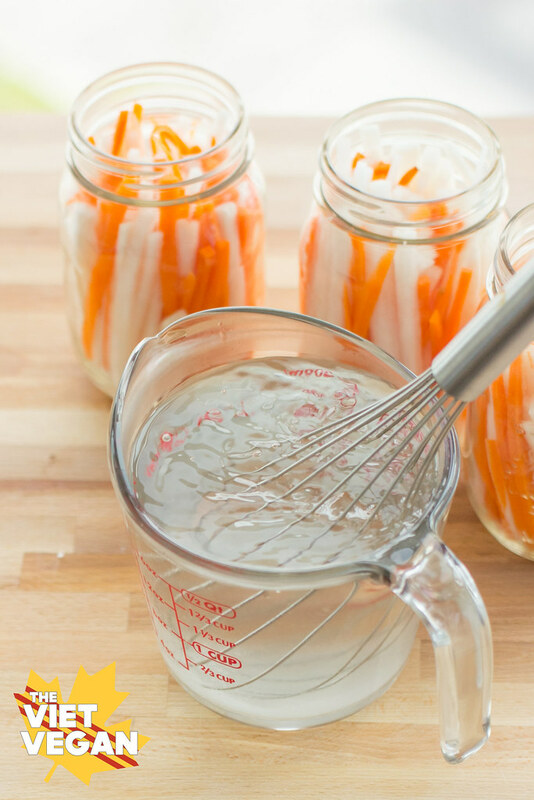 After you prep the carrots and daikon (between 10 and 20 minutes, depending on your knife skillz), all it takes is a quick whisk of the brine, and letting them sit in the brine for at least 20 minutes to get that bright, briny flavour. They’re best enjoyed after a day of pickling, but they’re great after 20 minutes too. Stir boiling water, vinegar and sugar until sugar is dissolved. 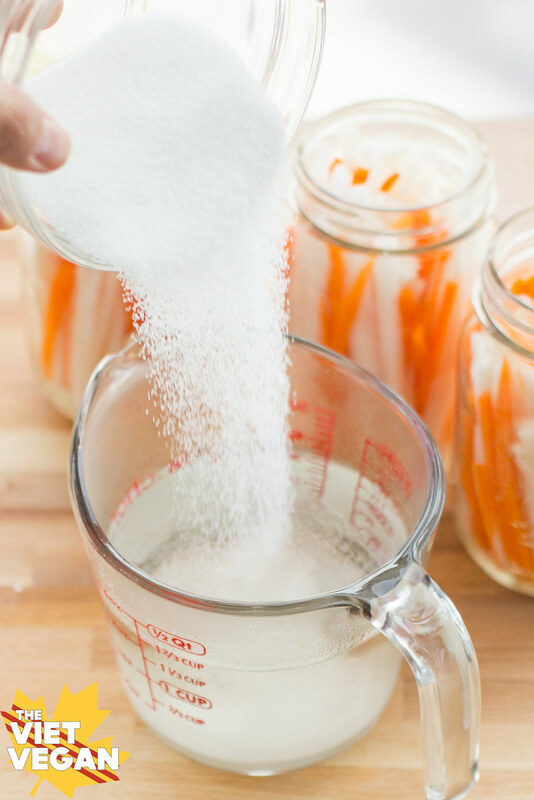 Pour mixture over carrots and daikon until covered. Screw on jar lids and store in fridge. You can use after 20 minutes of pickling. Store in fridge and use within a couple weeks. I made this once, but the pickles smelled really stinky. I don't know what I did wrong! When cooked or pickled, daikon does have an earthy, some say poopy, smell. You didn't do anything wrong, and the pickles should taste delicious. If you had pickles in a bowl of soup or in a sandwich, you probably wouldn't smell it. And maybe after a while, you might grow to love the smell! Do you ever add onion to this mix, or do you pickle onion separately? (or not at all)? In some banh mi I've had the onion slightly pickled as well, and I've never been sure if it's been picked at the same time as this, or if it's just been added afterwards. My family has never pickled onions, but maybe that's a thing! I never see onion in banh mi much. Yes, when its hot it'll pickle it faster and soften the veg to be a softened crunch, it also means that it'll last longer in the fridge. The sugar content is necessary for the flavour of the pickles, if you reduce it you run the risk of having overly sour pickled veg and will not taste the same as traditional do chua. Hey! What kind of vinegar should I use? 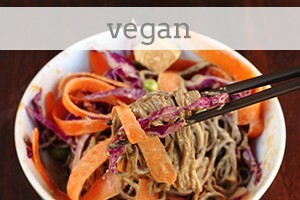 I use rice wine vinegar and it makes it more tasty than regular white vinegar. Better flavor. Thank you so much. Back in the 80's I used to go to this donut place that made this incredible Vietnamese sub that wasn't on the menu. 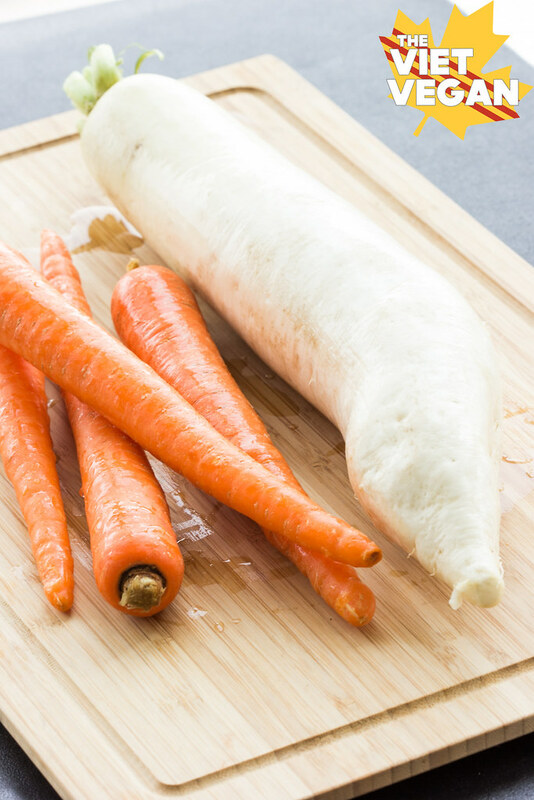 They used this radish carrot combo that I still crave. I knew the basic ingredient's but not the ratio... 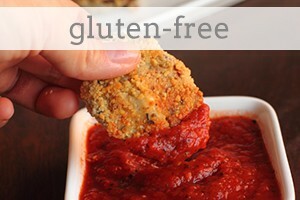 I do now though and guess what I will be making soon. Yummy! I’ve never used canning jars. Do you have to do anything special to close and seal the canning jars for this recipe, or is it okay to just screw on the lid and leave them in the fridge? A year ago, before I found your website, I prepared vegan banh mi sandwiches for 80 non-Asian Americans. 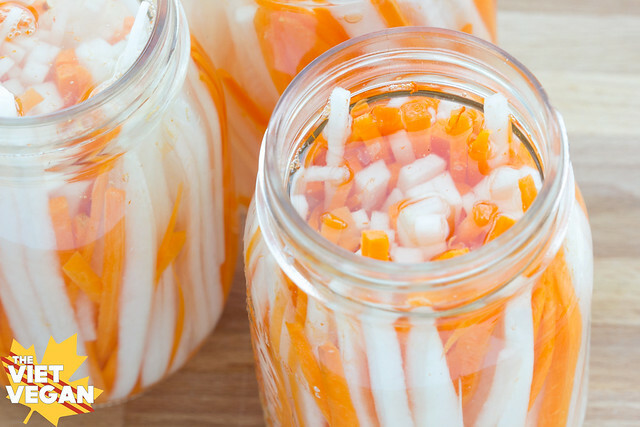 I found a recipe for quick carrot and daikon pickles but used jicama instead of daikon. I thought that the texture would be similar but, without the pungent flavor and aroma, it would be more acceptable to Americans. It worked!I prefer using rice vinegar so I started to use rice vinegar. Then I realized that using white vinegar for the quantity I made would be much more economical. It turned out fine.Hours and hours of slicing was not relaxing. I have since learned that a food processor could have done the job in minutes, with only 2 cuts: (1) Place vegetables on the blade on their long edge to make slices. (2) Then place slices over the blade on their long edge to julienne.